Leeds United ran out 2-0 winners over Nottingham Forest to keep up their unbeaten start to the season and moved up to third place in the Sky Bet Championship going into the international break. New signing Jay-Roy Grot was included on the bench for the trip to the City Ground by Thomas Christiansen, whilst former Leeds midfielder Liam Bridcutt made his first Sky Bet Championship start for Forest. Leeds made a bright start to the game and went close inside six minutes, Samuel Saiz picked up the ball 25 yards from goal and only narrowly missed finding the top corner. At the other end, Kieran Dowell played a dangerous ball into the Leeds box, but Daryl Murphy was unable to get on the end of it. Pablo Hernandez had a decent opportunity, a Luke Ayling cross fell to him on the edge of the box and he fired a volley towards goal, but was unable to find the target. Leeds threatened from a corner in the 17th minute, Jordan Smith got a crucial hand to Hernandez’s cross, with Pontus Jansson lurking, before Kalvin Phillips fired wide with a low effort. In the 23rd minute Kemar Roofe won Leeds a free-kick midway into the Forest half. 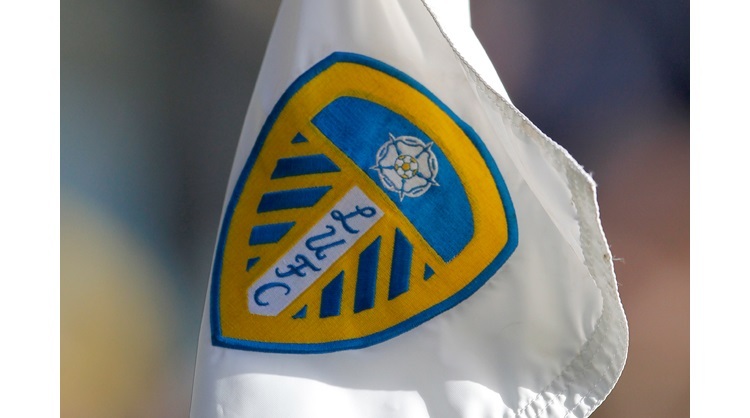 From the following set-piece, Liam Cooper headed the ball across goal and Roofe headed the ball into the back of the net from close range to give Leeds the lead. Ezgjan Alioski, was a threat throughout the first half down the wing, then put a dangerous cross in looking for Roofe at the back post and the forward forced Smith into a decent save. Just after the half an hour mark, Forest went close from a corner, Felix Wiedwald made a really good save to deny Matt Mills. Two minutes later, Wiedwald was forced into action again, he rushed out to prevent Ben Osborn who had gone through on goal. A mistake from Leeds gave Dowell possession in the Leeds half, he attempted to lob Wiedwald from range, but he couldn’t find the target. Just before the break, with Leeds on the counter attack, Saiz shot from range, but couldn’t find the target. After the break Alisoki continued to threaten, this time from a free-kick he fired at goal forcing Smith into another good stop. Saiz then did well to get to the byline and Roofe looking for his second goal, shot on the turn, but his effort was blocked. Leeds counter attacked well throughout the second half, Saiz was next to go close, firing just wide from the edge of the box. Alioski then tried his luck from range, but once again he couldn’t get the better of Smith in the Forest goal. Six minutes from time substitute Stuart Dallas almost added a second for the Whites, he picked up the ball just inside the box on the left side and fired across goal just wide. Three minutes later, Leeds sealed the win, by doubling their lead through Alioski. He picked the ball outside the box, before delivering a beautiful strike into the bottom corner. Dallas and Saiz had opportunities in added time, but neither were able to hit the target with their efforts. The win is United’s fourth clean sheet in a row in the Sky Bet Championship and Leeds’ third successive victory on the road. Forest: Smith, Mills, Traore, Bridcutt, Murphy (Cummings 71), McKay, Osborn (Clough 63), Dowell, Darikwa, Bouchalakis (Brereton 51), Worrall. Subs not used: Evtimov, Lichaj, Mancienne, Walker. Leeds: Wiedwald, Anita, Cooper, Jansson, Ayling, Phillips, O’Kane, Hernandez (Grot 70), Saiz, Alioski, Roofe (Dallas 75). Subs not used: Peacock-Farrell, Borthwick-Jackson, Vieira, Shaughnessy, Klich.